About this Hershey Kiss Singles:Milk Chocolate Hershey Kisses with our custom four color label.Give a kiss to your customers!Special Instructions:Blank items not available.Between the months of April-September we recommend Chocolate, Breath Strips and heat sensitive items be shipped in an insulated carton with cold packs. This adds $14 per carton. It will require 2-Day air shipment. Chocolate and nuts should be stored in a cool dry place. About this Miniature Hershey Singles:Candy Made in America! Custom wrapped miniature chocolate candy bars. Original Hershey wrappers stay on the bar we wrap with your full color art. Great for any give away program.Special Instructions:Blank items not available.Between the months of April-September we recommend Chocolate, Breath Strips and heat sensitive items be shipped in an insulated carton with cold packs. This adds $14 per carton. It will require 2-Day air shipment. Chocolate and nuts should be stored in a cool dry place. About this Chocolate Coins:These foil-wrapped Chocolate Coins are an excellent pocket-size promotion.Great giveaway.Special Instructions:Blank items not available.Between the months of April-September we recommend Chocolate, Breath Strips and heat sensitive items be shipped in an insulated carton with cold packs. This adds $14 per carton. It will require 2-Day air shipment. Chocolate and nuts should be stored in a cool dry place. About this Chocolate Poker Chips:These foil-wrapped Poker Chips are an excellent pocket-size promotion.Great giveaway.Special Instructions:Blank items not available.Between the months of April-September we recommend Chocolate, Breath Strips and heat sensitive items be shipped in an insulated carton with cold packs. This adds $14 per carton. It will require 2-Day air shipment. Chocolate and nuts should be stored in a cool dry place. About this Custom Chocolate Coins:These treasured treats will richly reward any promotion. Available in milk chocolate only.Special Instructions:Warm Weather Shipment: Chocolate products may be damaged by heat during transportation. Refrigerated trucking is available for large shipments (please call). UPS Ground Service is acceptable for 1 to 2 day zones. UPS Blue Service or UPS Red Service is required for shipments into regions that normally take 3 or more shipping days with ground service. About this 4 Chocolate Truffle Gift Box:Dark or Milk Chocolate Truffles with creamy chocolate centers are available in a wide variety of gift sets designed to meet special promotional needs. Gift Box featuring delicious 4 piece truffle selection. Bulk packaging.Special Instructions:Warm Weather Shipment: Chocolate products may be damaged by heat during transportation. Refrigerated trucking is available for large shipments (please call). UPS Ground Service is acceptable for 1 to 2 day zones. UPS Blue Service or UPS Red Service is required for shipments into regions that normally take 3 or more shipping days with ground service. About this Stock Chocolate Coins:These treasured treats will richly reward any promotion. Available in milk chocolate only.Stock design debossed wrapped chocolate coins. Stock Coins: Miss Liberty, US Emblem or Plain designs.Special Instructions:Warm Weather Shipment: Chocolate products may be damaged by heat during transportation. Refrigerated trucking is available for large shipments (please call). UPS Ground Service is acceptable for 1 to 2 day zones. UPS Blue Service or UPS Red Service is required for shipments into regions that normally take 3 or more shipping days with ground service. About this Truffle Gift Box:Delicious Single Truffle wrapped in an imprinted gift box. Always a big hit at business conventions and seminars. Bulk packaging. Truffles come in milk or dark chocolate.Special Instructions:Warm Weather Shipment: Chocolate products may be damaged by heat during transportation. Refrigerated trucking is available for large shipments (please call). UPS Ground Service is acceptable for 1 to 2 day zones. UPS Blue Service or UPS Red Service is required for shipments into regions that normally take 3 or more shipping days with ground service. About this Truffles in Ballotin Box:Gift quality Ballotin Box with 2 Chocolate Truffles that have delicious creamy chocolate centers. Bulk packaging.Truffles come in milk or dark chocolate.Special Instructions:Warm Weather Shipment: Chocolate products may be damaged by heat during transportation. Refrigerated trucking is available for large shipments (please call). UPS Ground Service is acceptable for 1 to 2 day zones. UPS Blue Service or UPS Red Service is required for shipments into regions that normally take 3 or more shipping days with ground service. About this 1 oz Full Color Chocolate Bar:Custom chocolate bars and wrappers.Wrapper stock available in white.Bulk packaging.3 day minimum production time on chocolate imprint orders.Special Instructions:Warm Weather Shipment: Chocolate products may be damaged by heat during transportation. Refrigerated trucking is available for large shipments (please call). UPS Ground Service is acceptable for 1 to 2 day zones. UPS Blue Service or UPS Red Service is required for shipments into regions that normally take 3 or more shipping days with ground service. About this 1 oz Milk Chocolate Bar:Great for tradeshows, sales person leave behinds, new product intros, etc.Each of our chocolate bars are foil-wrapped, then overlaid with your custom wrapper. Your name, logo, and message will travel with your customers like a miniature billboard.Special Instructions:Blank items not available.Between the months of April-September we recommend Chocolate, Breath Strips and heat sensitive items be shipped in an insulated carton with cold packs. This adds $14 per carton. It will require 2-Day air shipment. Chocolate and nuts should be stored in a cool dry place. About this 2 oz Milk Chocolate Bar:Great for tradeshows, sales person leave behinds, new product intros, etc.Each of our chocolate bars are foil-wrapped, then overlaid with your custom wrapper. Your name, logo, and message will travel with your customers like a miniature billboard.Ingredients on wrapper. Special Instructions:Blank items not available.Between the months of April-September we recommend Chocolate, Breath Strips and heat sensitive items be shipped in an insulated carton with cold packs. This adds $14 per carton. It will require 2-Day air shipment. Chocolate and nuts should be stored in a cool dry place. About this Chocolate Cigars:Individual, full rounded chocolate cigars. Each individually wrapped and custom branded with your logo or design. Bulk packaging.Special Instructions:Warm Weather Shipment: Chocolate products may be damaged by heat during transportation. Refrigerated trucking is available for large shipments (please call). UPS Ground Service is acceptable for 1 to 2 day zones. UPS Blue Service or UPS Red Service is required for shipments into regions that normally take 3 or more shipping days with ground service. About this Wrapped Chocolate Squares:Square molded chocolate. 3-D design in bag. Bulk packed.Single 2" x 2" chocolate square per bag.Special Instructions:Warm Weather Shipment: Chocolate products may be damaged by heat during transportation. Refrigerated trucking is available for large shipments (please call). UPS Ground Service is acceptable for 1 to 2 day zones. UPS Blue Service or UPS Red Service is required for shipments into regions that normally take 3 or more shipping days with ground service. About this 5 Chocolate Trufffle Gift Box:Gift box featuring delicious 5 piece truffle selection. Bulk packed.Truffles come in milk or dark chocolate.Special Instructions:Warm Weather Shipment: Chocolate products may be damaged by heat during transportation. Refrigerated trucking is available for large shipments (please call). UPS Ground Service is acceptable for 1 to 2 day zones. UPS Blue Service or UPS Red Service is required for shipments into regions that normally take 3 or more shipping days with ground service. About this 2 Chocolate Truffles in Bow Box:Gift quality Bow Box; Bow box with 2 delicious truffles. Truffles come in milk or dark chocolate. Bulk packaging.Special Instructions:Warm Weather Shipment: Chocolate products may be damaged by heat during transportation. Refrigerated trucking is available for large shipments (please call). UPS Ground Service is acceptable for 1 to 2 day zones. UPS Blue Service or UPS Red Service is required for shipments into regions that normally take 3 or more shipping days with ground service. About this Medium Imprinted Bountiful Bag Filled with MMs:Medium size bountiful bag promo pack with M&M's.Special Instructions:Warm Weather Shipment: Chocolate products may be damaged by heat during transportation. Refrigerated trucking is available for large shipments (please call). UPS Ground Service is acceptable for 1 to 2 day zones. UPS Blue Service or UPS Red Service is required for shipments into regions that normally take 3 or more shipping days with ground service. About this Chocolate Foiled Full Color Squares:Reward your clients with the delicious taste of chocolate!Bulk packaging, individually wrapped.Special Instructions:Warm Weather Shipment: Chocolate products may be damaged by heat during transportation. Refrigerated trucking is available for large shipments (please call). UPS Ground Service is acceptable for 1 to 2 day zones. UPS Blue Service or UPS Red Service is required for shipments into regions that normally take 3 or more shipping days with ground service. About this Large Imprinted Bountiful Bag Filled with MMs:Large size bountiful bag promo pack with M&M's.Special Instructions:Warm Weather Shipment: Chocolate products may be damaged by heat during transportation. Refrigerated trucking is available for large shipments (please call). UPS Ground Service is acceptable for 1 to 2 day zones. UPS Blue Service or UPS Red Service is required for shipments into regions that normally take 3 or more shipping days with ground service. About this Ferrero Rocher(R) Chocolates Tuscany Journal Gift Set:Includes the Tuscany™ Writing Journal and a 3-pack of Ferrero Rocher® Hazelnut Chocolates. Journal has a soft faux leather cover and features 80 ruled pages, elastic loop closure, bookmark and document pocket on inside back cover. About this Ferrero Rocher(R) Chocolates Wrapped Journal Gift Set:Includes the Americana Leather-Wrapped Journal and a 3-pack of Ferrero Rocher® Hazelnut Chocolates. Full-grain, leather-wrapped journal book includes lined journal pages and leather wrap/tie closure. About this Custom Molded Chocolate in Gift Box:Display your name for all to see on these delicious 1 oz. Chocolate Bars. Bulk packaging. Stock Art, call for. Special Instructions:Warm Weather Shipment: Chocolate products may be damaged by heat during transportation. Refrigerated trucking is available for large shipments (please call). UPS Ground Service is acceptable for 1 to 2 day zones. UPS Blue Service or UPS Red Service is required for shipments into regions that normally take 3 or more shipping days with ground service. About this 4 Chocolate Square Gift Box:4 piece chocolate tailored for different themes. Stock or custom molded chocolate. Bulk packaging.Special Instructions:Warm Weather Shipment: Chocolate products may be damaged by heat during transportation. Refrigerated trucking is available for large shipments (please call). UPS Ground Service is acceptable for 1 to 2 day zones. UPS Blue Service or UPS Red Service is required for shipments into regions that normally take 3 or more shipping days with ground service. About this Medium Labeled Bountiful Bag Filled withh MMs:Medium size bountiful bag.With M&M's.Full color label.Special Instructions:Warm Weather Shipment: Chocolate products may be damaged by heat during transportation. Refrigerated trucking is available for large shipments (please call). UPS Ground Service is acceptable for 1 to 2 day zones. UPS Blue Service or UPS Red Service is required for shipments into regions that normally take 3 or more shipping days with ground service. About this 3 1/2 Round Tin with Chocolate Soccer Balls:Round tin with tin top.Filled with Chocolate Soccer Balls.Bulk packed.Special Instructions:Warm Weather Shipment: Chocolate products may be damaged by heat during transportation. Refrigerated trucking is available for large shipments (please call). UPS Ground Service is acceptable for 1 to 2 day zones. UPS Blue Service or UPS Red Service is required for shipments into regions that normally take 3 or more shipping days with ground service. About this Medium Plastic Tube with Chocolate Basketballs:5" plastic tube with silver cap.Filled with Chocolate Basketballs.Special Instructions:Warm Weather Shipment: Chocolate products may be damaged by heat during transportation. Refrigerated trucking is available for large shipments (please call). UPS Ground Service is acceptable for 1 to 2 day zones. UPS Blue Service or UPS Red Service is required for shipments into regions that normally take 3 or more shipping days with ground service. About this Tuscany(TM) Junior Journal Ferrero Rocher(R) Chocolate Gift Set:Includes the Junior Tuscany Journal and a 3-pack of Ferrero Rocher® Hazelnut Chocolates.Journal features a soft faux Leather cover, 80 ruled pages, elastic loop closure, bookmark, and document pocket on inside back cover. About this Clif Energy Bar - Chocolate Chip:Prop 65 Compliant. Pick from our stock golf motif or totally customize the imprint area. Kosher and Vegetarian. A healthy snack to tide you over during a long tradeshow. Brand name food wrapped in your custom design. Retail packaging may vary from that shown.Special Instructions:Coolers are recommended for chocolate when the weather is 70+ and for gummies when the weather is 80+. Coolers maintain temperature for two days. For standard shipments, add $15.00 per cooler, per carton. About this Custom Choc w / 8 Truffles Gift Box:Chocolate gift box. 8 truffles. 1 custom chocolate bar. Hang tags available in gold, silver and white. Ribbon colors available in: Black, Burgundy, Emerald, Ivory, Navy, Orange, Pink, Purple, Red, Royal, White and Yellow.Truffles come in milk or dark chocolate.Special Instructions:Warm Weather Shipment: Chocolate products may be damaged by heat during transportation. Refrigerated trucking is available for large shipments (please call). UPS Ground Service is acceptable for 1 to 2 day zones. UPS Blue Service or UPS Red Service is required for shipments into regions that normally take 3 or more shipping days with ground service. About this The Classic Singles - Caramel Cashew Turtles:This Classic Gift Box is filled with gourmet Cashew Carmel Chocolate Turtles. Make your mark with our elegant gift boxes.Choose a smart box, select from our decadent delights and wrap it with a luxurious ribbon. Hot Stamp your logo on the box or ribbon for a gift clients will never forget.Special Instructions:Blank items not available.Between the months of April-September we recommend Chocolate, Breath Strips and heat sensitive items be shipped in an insulated carton with cold packs. This adds $14 per carton. It will require 2-Day air shipment. Chocolate and nuts should be stored in a cool dry place. About this Small - Pillow Pack:Fill with 2 pcs of your favorite treat.Crystal Clear Pillow Pack with your four-color process inserted image. Special Instructions:Blank items not available.Between the months of April-September we recommend Chocolate, Breath Strips and heat sensitive items be shipped in an insulated carton with cold packs. This adds $14 per carton. It will require 2-Day air shipment. Chocolate and nuts should be stored in a cool dry place. About this Medium - Pillow Pack:Approximately 1.5 oz of candy.Crystal Clear Pillow Pack with your four-color process inserted image. Special Instructions:Blank items not available.Between the months of April-September we recommend Chocolate, Breath Strips and heat sensitive items be shipped in an insulated carton with cold packs. This adds $14 per carton. It will require 2-Day air shipment. Chocolate and nuts should be stored in a cool dry place. About this Large - Pillow Pack:Crystal Clear Pillow Pack with your four-color process inserted image.Special Instructions:Blank items not available.Between the months of April-September we recommend Chocolate, Breath Strips and heat sensitive items be shipped in an insulated carton with cold packs. This adds $14 per carton. It will require 2-Day air shipment. Chocolate and nuts should be stored in a cool dry place. Thank you Angela, Erik and Lisa. We're glad to read your positive reviews on our promotional milk chocolate squares. This is our top seller in our food and drink selection. Milk Chocolate Squares are always fun to give to customers after an event or dinner. Allow them to leave with a memorable milk chocolate square. Our tasty chocolate squares will definitely be a favorite with customers! Stock Designs available with exciting holiday themes. Thank you Kristi and Alexa for your kind reviews. We're glad to read your positive feedback on our promotional 1 oz Full Color Chocolate Bar. This top seller is definitely a fun item to give to kids and adults! Give Chocolate Bars away at any event! You can give them at trade shows so guests can snack on something sweet while observing exhibits. Full color allows you freedom with your art design, so get creative! Thank you William for your positive review on our promotional Wrapped Chocolate Squares. These chocolates are very popular with customers because of how delicious they taste. 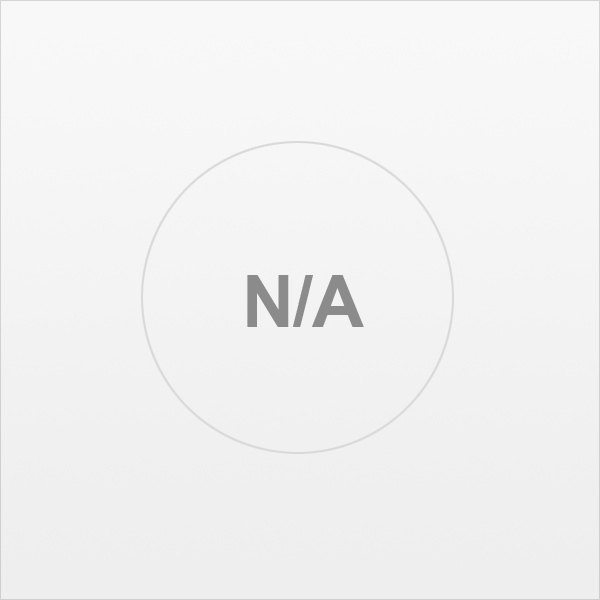 Don't miss out on this top seller! Keep your customers happy with promotional chocolates! Our Wrapped Chocolate Squares are always fun to give at any event because of the excitement it brings. Customers will be lining up for promotional chocolates. Bulk packed Single 2" x 2" chocolate square per bag. With over 430+ promotional chocolate avilable in our selection, you'll find the perfect sweet to complement your company logo! Chocolate makes people happy, so don't miss out on this tasty marketing tool. We have milk chocolate squares, chocolates gift set, chocolate gift set with journal gift set, Hershey Kisses, chocolate coins, truffle gift boxes, caramel bites, and more! Create your own personalized chocolates for your next event! Chocolates make a great snack and dessert! Your guests or customers will love to eat these during trade shows, or after dinners. Promotional chocolates are perfect for everyone of all ages! Chocolate lovers will appreciate this giveaway! Look through our selection of chocolates. Shop here! Here at AnyPromo, we always aim to make your event a huge success! Search our chocolates selection to find what best fits your event’s needs. 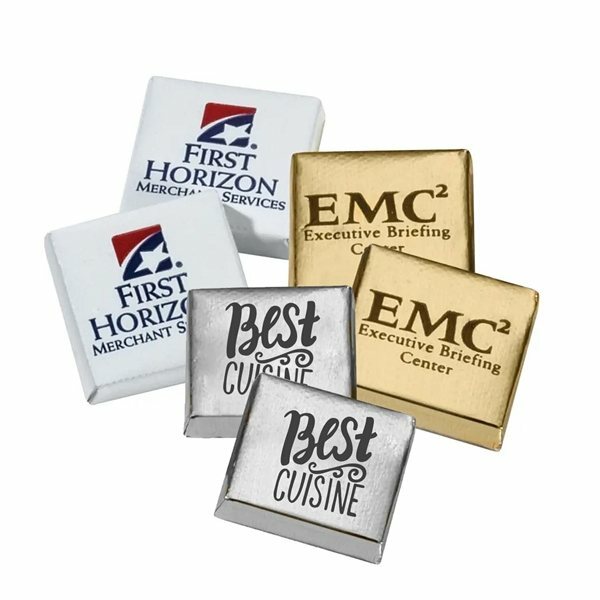 Get your customers to fall in love with your company with promotional chocolates! They will love to receive a tasty filled sweet with your company logo on it! We have different types of chocolates available in our selection. Make everyone's taste buds happy with your choice of option! Below you’ll find a list of some of our trending promotional chocolate. Every item is available and waiting for you to order. Promotional chocolates are bound to make everyone smile! Here at AnyPromo, we aim to help create your best marketing tool! Chocolates are always a popular item for customers! Chocolates are popular with customers because tehy could serve as a dessert or snack at events! Chocolate is filling and customers will love the appetite! Our featured list of chocolates are trending in this category. Order these yummy sweets today!